A raging fire destroyed two buildings at the Fryeburg Fair grounds on Tuesday night. FRYEBURG, Maine — A massive fire has destroyed two buildings and damaged several others at a historic fairground in Maine. Officials say the fire started inside a sheep barn at the Fryeburg Fairgrounds Tuesday night and spread to the cattle shed. At least 20 fire departments responded to the blaze. 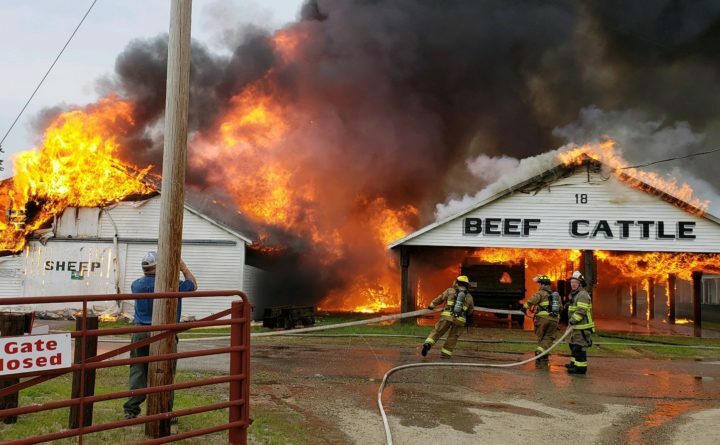 The fair posted photos of the flames and the damage left in their wake to its Facebook page.